Includes: Fluke 700G 05 Pressure Gauge, NIST Traceable Calibration Certificate, Instruction Manual on CD ROM, 1/4" NPT to 1/4" ISO Adaptor. 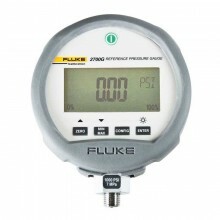 The Fluke 700G Series Pressure Gauges are high-accuracy digital pressure test gauges. 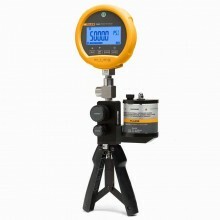 Accurate to 0.05 % FS, the Products can be used as a calibration reference, or in any application where high-accuracy pressure measurement is required. With best-in-class accuracy and measurements, the Fluke 700G series precision pressure test gauges were designed to handle all of your pressure calibration needs. The Fluke 700G series pressure test gauges are rugged and easy to use, with twenty three models ranging from ±10 inH2O/20 mbar to 10,000 psi/690 bar including absolute pressure ranges. When the Fluke 700G05 is configured, you can lock its settings and use password protection to prevent configuration changes. Precision pressure measurement from ±10 inH2O/20 mbar to 10,000 psi/690 bar. 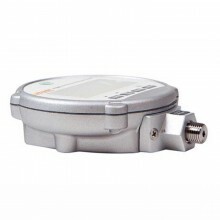 Absolute pressure measurement ranges 15, 30, 100, 300 psia. Accuracy to 0.05 % of full scale. Reference class gauge accuracies to 0.04 % of reading. Easy to use, rugged construction for reliable performance. Combine with the 700PTPK or 700HTPK pump kits. 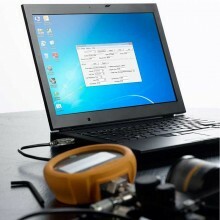 Log up to 8,493 pressure measurements to memory (requires 700G/TRACK software). any non-flammable, non-toxic, non-explosive, non-oxidizing liquid or gas compatible with 316 stainless steel. Dimensions (H x W x D) 12.7 x 11.4 x 3.7 cm (5 x 4.5 x 1.5 in). Pressure connection ¼ in NPT Male. Housing/Weight Cast ZNAL 0.56 kg (1.22 lb) with holster. Display 5-1/2 digits, 16.53 mm (0.65 in) high 20-segment bar graph, 0 to 100%. Power Three (3) AA alkaline batteries. Battery life 1,500 hours without backlight (continuous on), 2,000 hours at slow sample rate. 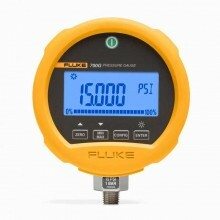 PDF Specifications of the Fluke 700G Pressure Gauge Calibrators.